Jim is a core member of Network for Good's Impact Team, a "special ops group" charged with coordinating local, state, and regional resources designed to help nonprofits build fundraising capacity and work with grantmakers who want to do the same. Jim works with funders, governments, and philanthropists focused on improving the long-term sustainability of the sector primarily in the Western and Pacific Northwest regions of the United States. Recently, Jim served as the President and CEO of Sutter Health Better Health East Bay (BHEB), a Sutter Health philanthropic foundation. Launched in 2014, BHEB raises funds to improve community health by applying a common sense and data-driven approach to solving healthcare issues for the underserved and those who require complex care in a community setting. 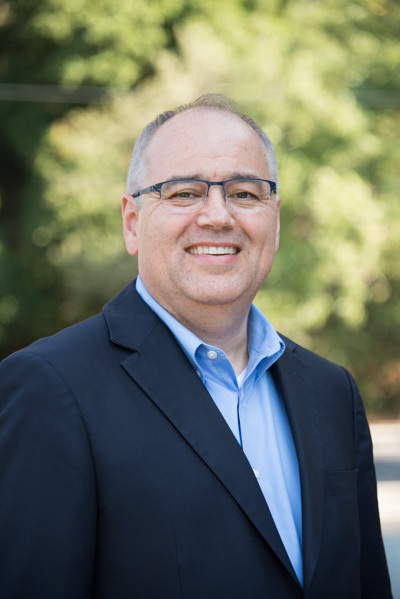 He previously served as Regional Vice President and Senior Philanthropy Officer for Sutter Health’s East Bay Hospitals and President & CEO of its largest fundraising foundation, the Alta Bates Summit Foundation. He is an active volunteer and advisor to policymakers, foundations and investors. Jim’s volunteer roles include serving as a member of the National Advisory Committee for the Camden Coalition of Healthcare Providers’ National Center for Complex Health and Social Needs, past Co-Chair of the Bay Area Health Funders Group for Northern California Grantmakers, and as an Advisor to Astia Angels investor network.